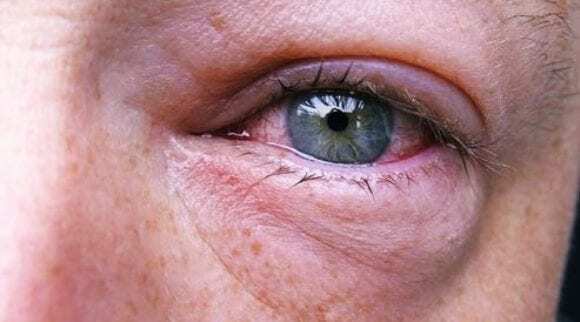 WHAT IS AN EYE CYST? An eye cyst is caused by swelling or a small lump in the lower or upper eyelid, usually containing a semi-solid or fluid substance. 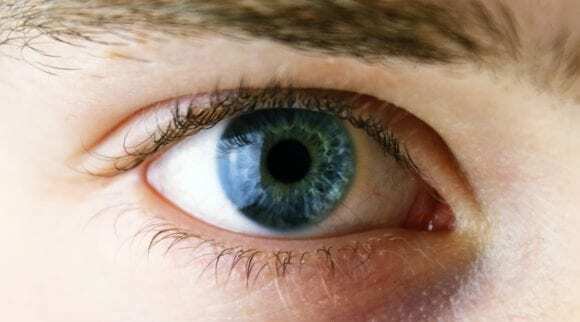 It is not a rare condition, and it is usually caused by inflammation of one of the glands in the eyelid. The most common type of eye cyst is the Meibomian cyst, also known as a tarsal cyst, or conjunctival granuloma. 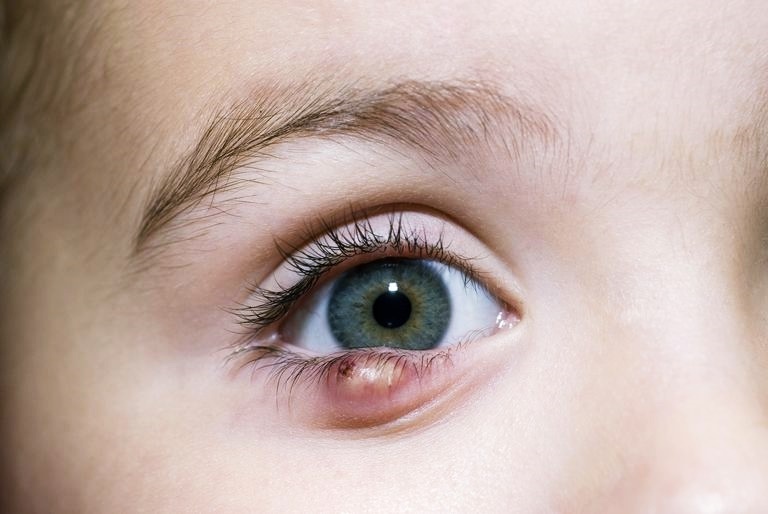 Another common eye cyst is the dermoid cyst usually present at birth. The eyelid glands that are inflamed when a stye or chalazion occurs are the Meibomian glands named after a German Physician, Heinrich Meibom. These glands are also known by other names such as palpebral glands, tarsoconjunctival glands, or tarsal glands. There are about 25 of these glands present in the lower eyelids and about 50 present in the upper eyelids, depending on the person. 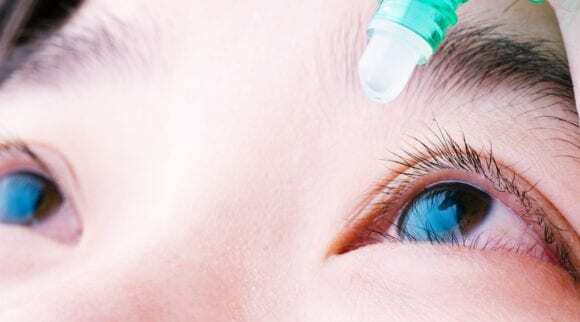 Meibomian glands primarily supply a thick oily substance (meibum) discharged into the eye’s tear film to prevent its evaporation and also prevent tears from spilling onto the cheeks. With this substance, tears are trapped between the eyeball and the oiled edge, thus making the closed lids airtight. When these glands are blocked, they may become swollen or infected resulting in a cyst on your eye. In rare cases, eye cysts can burst open themselves through the eyelid’s skin or inner lining of the eyelid. Although eye cysts can literally be an eyesore, they can usually be treated easily without any vision impairment. IS A STYE DIFFERENT FROM A MEIBOMIAN CYST? A chalazion is sometimes confused with a stye. A stye, also known as hordeolum, is a small abscess of the lash root on the eyelid which usually appears as a painful yellow or red lump along the edge of the eyelid where the lash emerges. It occurs when a bacterial infection grows in the meibomian glands. There are two types of styes, namely an external hordeolum and internal hordeolum. External hordeola look like pimples at the base of the eyelash, and it’s usually caused by an infection in the hair follicle or gland. An internal hordeolum occurs inside the eyelid and is caused by an infection in an oil-producing gland of the eyelid. 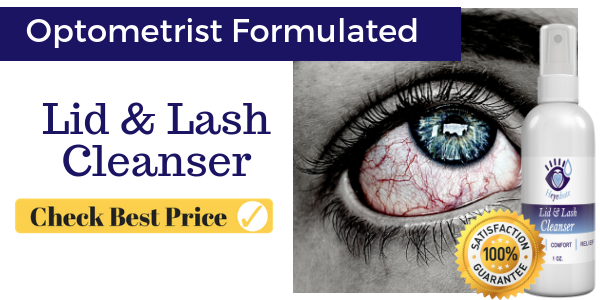 Some of the signs and symptoms include a watery eye, tender eyelid, red eye, and an eyelid which may turn into a yellow, pus-filled spot on an eyelash follicle. Unlike a chalazion, a stye is usually painful but can heal in about a week when the bump drains. A stye can lead to a chalazion if the infection persists over time, resulting in scarring around the Meibomian gland. A chalazion, on the other hand, grows more slowly than a stye but can affect vision when it becomes large. The inflammation may spread to the region surrounding the eye, but it often goes away without treatment after few months. A chalazion will not be painful or red, but it may be unsightly. As earlier mentioned, a chalazion is usually caused when one of the Meibomian glands of the lower and upper eyelids is blocked. 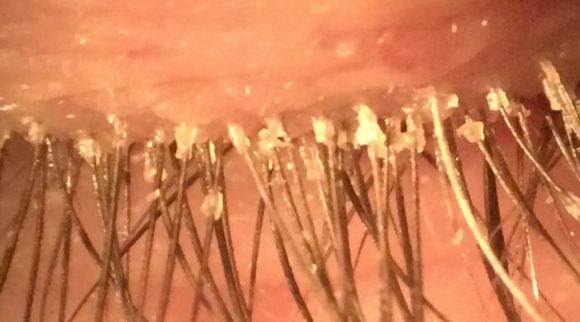 This can occur as a result of hardening of the sebaceous liquid near the opening of the Meibomian gland or the narrowing of the opening by which the Meibomian gland secretes its material. When this happens, the gland becomes obstructed because it still has material that has not been secreted. This makes the gland swell, resulting in thickening of the gland walls and leakage of the oily substance into the eyelid itself, causing inflammation of both the gland and the eyelid. This inflammation is known as a chalazion. 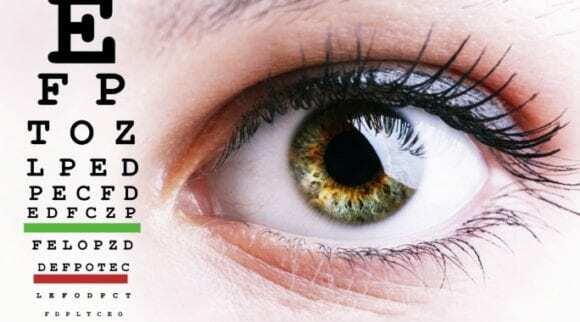 Chalazia can also occur as a result of other underlying medical eye conditions such as chronic blepharitis, seborrhea (dandruff of the lids or seborrheic dermatitis), viral conjunctivitis (in very rare cases), and acne rosacea. People that have had chalazia in the past have a higher risk of developing it again in the future. DOES A CHALAZION LOOK LIKE A PIMPLE? When an obstructed Meibomian gland becomes infected with bacteria, it may result in a hordeolum which resembles a pimple. A hordeolum, also known as a stye, may precede or follow a chalazion. However, a chalazion also occurs as a result of an obstructed Meibomian gland not infected by bacteria. The eye cyst or swelling often increases in size slowly and gradually becomes very large. A large chalazion of the upper eyelid may obstruct the cornea and cause blurred vision, although this is rare. 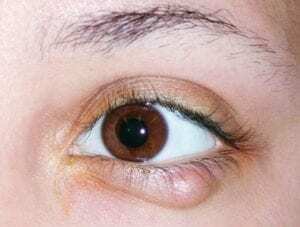 In rare cases, a large chalazion of the lower lid (cyst under eye) may cause puncta eversion, excessive watering of the eyes, or even sagging of the lower eyelids to expose the surface of the inner eyelids (Ectropion). Occasionally, the lump may burst on the conjunctival side, resulting in a fungating mass of granulation tissue. 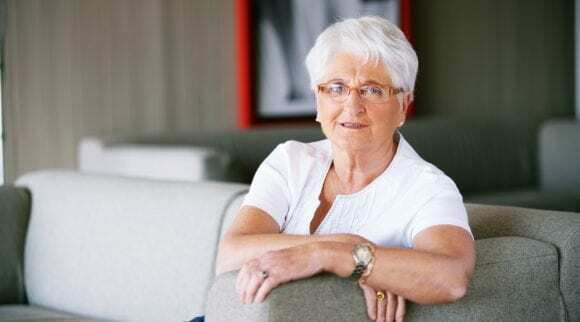 Harmful change into a tumor in the eyelids (Meibomian Gland Carcinoma) may occasionally occur in older adults. Knowing a patient’s medical history and presence of any other underlying medical condition that may result in a chalazion. The skin texture, eyelid structure, eyelash appearance, and external examination of the eye can be helpful in the diagnosis of a chalazion. The diagnosis should also include other causes of eyelid lumps, including harmful and malignant growths. Although the lump and the surrounding region are usually red, your physician can also watch out for spreading eyelid cellulitis, an infection of the tissues around the eye. The base of the eyelashes, the margin of the eyelids, and the Meibomian gland openings can be inspected with magnification. If your doctor notices that the lump might be a tumor, a full biopsy will be recommended. 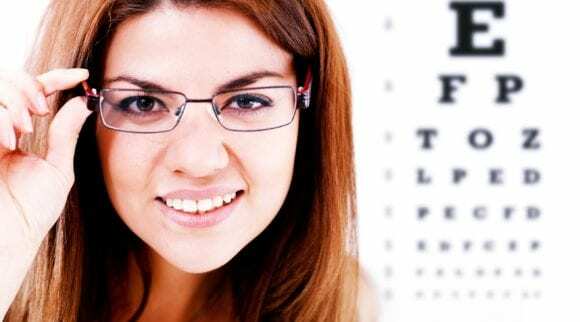 WHO CAN TREAT A CHALAZION? 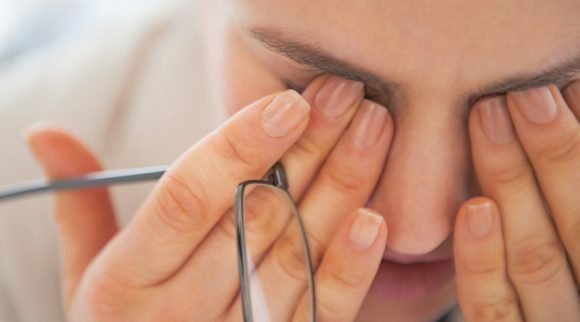 Although your optometrist can make a brief diagnosis and start basic treatment of a chalazion, chronic and severe cases of chalazia may require surgical operation, or eye cyst removal, and should be referred to an ophthalmologist who can remove the cyst. Warm compresses: We recommend purchasing a warm compress mask, such as the Heyedrate Dry Eye Warm Compress, which can be easily heated in the microwave before placing over the eyes. By doing this, the oil in the blocked Meibomian glands is softened, making it more likely to discharge from the cyst on your eyelid. Eyelid massage: This can be carried out after the warm compress. It involves using the tips of the fingers to gently massage the eyelid and around the cyst by pressing the skin towards the edge of the eyelid. This reduces the need for surgery by allowing the safe discharge of the cyst, although it is not recommended to do this if your eyelid is severely painful, red, and inflamed. Topical and oral antibiotics, oral anti-inflammatory drugs, and corticosteroids are medications that can be used in treating chalazia. Antibiotics: Antibiotics such as tetracycline, doxycycline, minocycline, and bacitracin can lower the melting point of sebaceous secretions and possibly prevent blockage of Meibomian glands. They are also useful in the treatment of chronic chalazia. When a more severe infection of the eyelid occurs, an oral antibiotic may occasionally be prescribed. Corticosteroids: Corticosteroids have anti-inflammatory properties and cause profound and varied metabolic effects. Examples of corticosteroids include Triamcinolone and Dexamethasone, which can be used to minimize the inflammation. They are usually taken as injections and have proven to be very effective, especially in small and soft chalazia. This is an effective and conventional way of treating chalazia. Surface anesthesia is first applied by the instillation of xylocaine drops in the eye and the eyelid in the region of the affected area. After which, a vertical incision (usually a few millimeters long) is made with a sharp blade on the conjunctival side to avoid injury to other Meibomian glands, and a horizontal incision on the skin side is made to make the scar invisible. The contents of the lump are curetted out with the aid of a chalazion scoop, and its cavity is cauterized with carbolic acid to avoid recurrence of the chalazion. The whole procedure takes only a few minutes. An antibiotic ointment is then applied before padding the eye for about 12 hours. There is usually little swelling of the eyelid after the operation. To further decrease postoperative discomfort and prevent infection, antibiotic eye drops, warm compresses, and oral anti-inflammatory drugs may be administered to the patient for about three to four days. Serious cases of chalazia are better treated by diathermy, which involves the use of electrically induced heat or the use of high-frequency electromagnetic currents as a form of physical therapy or surgical procedure. However, this is only used as a last resort for eye cyst removal because of the risks involved. These are non-cancerous, sac-like growths usually present at birth that can occur all over the body, including on the eyes and eyelids. They typically appear as solid white masses fixed to the eyeball and contain various materials such as collagenous connective tissue, sebaceous glands, and hair, or even fat. There are two types of dermoid eye cysts – orbital dermoid and epibulbar dermoid. Orbital Dermoid: An orbital dermoid is typically found around the bones of the eye socket, at the edge of the eyebrow, under the skin, or close to the nose. It is a smooth, sturdy tumor which generally contains a greasy, yellow substance. This dermoid rarely impairs vision, but as it grows larger, there’s a tendency to rupture and cause an inflammatory reaction. To be on the safer side, ophthalmologists often recommend cyst removal. Orbital dermoids usually occur in front of the bone surrounding the eye where the two facial bones meet to form the eye socket. In some cases, orbital dermoids are dumbbell-shaped, with a little segment on the outer part of the edge of the eye socket and the other part on the inside of the eye socket. In very rare cases, it can be located more posteriorly into the eye socket. Orbital dermoids can be removed by opening the skin overlying the dermoid before going further to dissect the surrounding tissues until the dermoid is revealed. After locating the dermoid, it is then carefully excised from the surrounding tissue. The removed substance is then sent to a pathologist to confirm the identity of the tissue. Epibulbar dermoid: Epibulbar dermoids are of two types which are named based on the location where they are found: posterior epibulbar dermoid and limbal epibulbar dermoid. A posterior epibulbar dermoid is usually a soft, yellow mass located under the upper eyelid and most visible when the eyelid is lifted. It normally molds to the shape of the eye and can sometimes have hair growing from it. Posterior epibulbar dermoids are sometimes associated with other diseases such as Goldenhar Syndrome and Linear Nevus Sebaceous Syndrome. Posterior epibulbar dermoids can be left alone if they are small and the patient is OK with them. However, it’s advisable to remove them if they get very large. They are removed by excising the dermoid of the overlying conjunctiva, clamping the mass at the far end of the dissection, and excising the anterior part of the mass. The excised mass can then be sent to a pathologist to confirm the identity of the tissue. A limbal dermoid, on the other hand, is found on the cornea or where the cornea and sclera meet. It can grow large enough to impair vision or change the shape of the cornea thereby inducing astigmatism. Other eye conditions such as lazy eye can develop as a result of the blurred image. Quick excision is required, so the condition doesn’t degenerate into other eye conditions. Once the shape of the cornea has been permanently changed, the risk of developing lazy eye remains even after the dermoid has been removed. 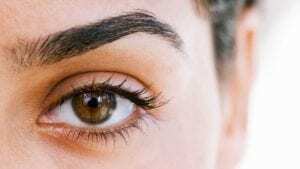 The surgical procedure involves administering general anesthesia to the patient before incision after which a small incision is made near an eyebrow or hairline to hide the scar that might occur. The cyst is then carefully excised, then the eye is padded for some time, and other necessary antibiotics are applied. 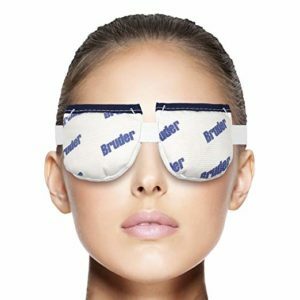 The Heyedrate Dry Eye Mask can be used to treat the symptoms of blepharitis, styes, Meibomian gland dysfunction, headaches, dry eye, sinus problems, and other eye allergies. 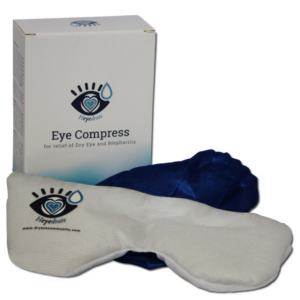 The eye compress can unblock the glands that secrete oil to prevent evaporation of tears. It works better than a wet washcloth because you don’t have to rewet it constantly. It features an elastic Velcro strap to secure the mask comfortably to your head. For heat therapy: Place the mask on a paper towel in your microwave and heat for about 20 -25 seconds. You can test the mask temperature with your fingertips to ascertain whether it’s too hot or not hot enough. If it’s too hot, you can allow it to cool for one minute before testing with fingertips again. If it’s not hot enough, microwave until desired heat is achieved. You can then apply the mask to the eyes for up to 10 minutes or as prescribed by your doctor. 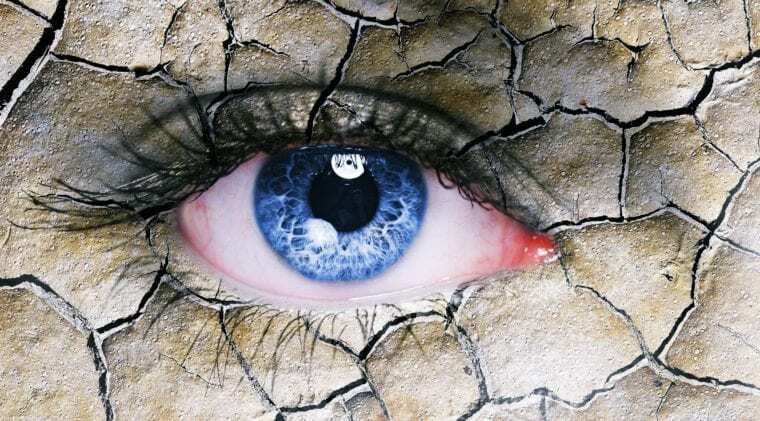 Moist heat treatment is usually recommended by ophthalmologists to provide relief to the eyes It can be useful in the treatment of dry eye, irritated eyes, tired eyes, Meibomian gland dysfunction, chronic dry eye, and Blepharitis. It can also be used to provide relief after surgery. 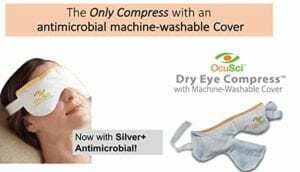 The Bruder Moist Heat Eye Compress can maintain prescribed heat levels needed for treatment, giving it an edge over the use of a random wet cloth. It features Bruder’s own MediBeads technology which allows easy absorption of water molecules from the air to be released as clean, moist heat. There’s no need to add water before it works. The heat released can help open oil glands and allow the natural oils to flow. Before you apply it to the eyes, place it on a clean dinner plate on the rotating tray in your microwave and heat for 20-25 seconds. You can then apply to the eyes for about 10-15 minutes or as prescribed by your doctor. This can be repeated twice a day. The Optix 55 Eye Mask features Hydro Heat technology that allows the eye compress to absorb moisture from the air and releases it as clean, soothing heat. 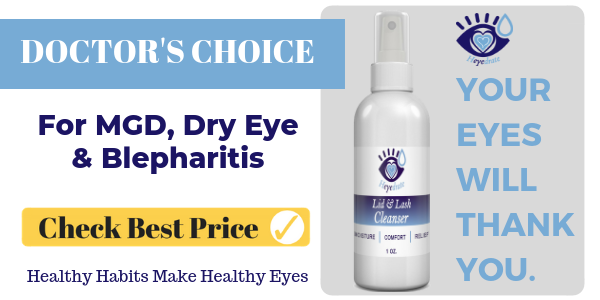 It offers natural hydration and moisture for sensitive areas of the face and can be used to treat dry eyes, pink eye, Meibomian gland dysfunction, sinus pressure, sties, Blepharitis, and other eye conditions naturally. It can also help you tackle insomnia and relax before bed so you can fall asleep quickly. Heat it in the microwave for about 20- 25 seconds, then remove the mask from the microwave and test the temperature with your fingers. You can adjust as required, but don’t heat the mask for more than 30 seconds at a time. Apply the mask over closed eyelids for up to 10 minutes or as prescribed by your doctor. 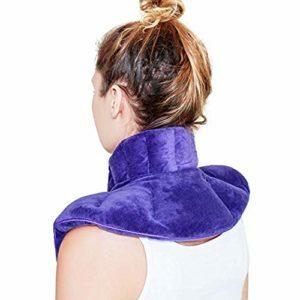 The Kimkoo Heating Pad offers heat treatment for the waist, abdomen, shoulders, back, and all other parts of the body where you feel pain and stress. It can also be used over the eyes as a dry eye mask. This heating pad features fill-in flaxseed and high-energy ceramic stones, which can maintain heat for about 15 to 25 minutes. Check the power of the microwave oven before heating and adjust as required. Then, place the heating pads on dry dishes before putting them into the microwave oven. After heating, test the temperature with your fingers and adjust as needed. If you can’t confirm the power of the microwave oven, heat the pads for about one minute and 30 seconds and feel before adjusting. Don’t wash the packs with water after use; keep in a well-ventilated place. 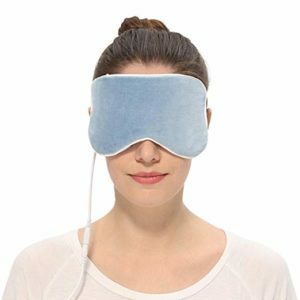 The Aroma Heated Eye Mask can be used as a warm compress for dry eyes, Blepharitis, sties, and puffy eyes. It is designed with five heat levels and six time settings from 10 to 60 minutes. It will automatically stop working when the countdown ends. It has a lavender scent which has been used for many years to improve relieve stress and improve sleep quality. Insert the controller. Plug fully into the inlet on the eye mask, and then plug the USB cable into the charger. You can set the heating temperature as desired before wearing. 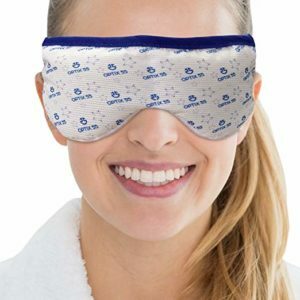 The ARRIS Heated Eye Mask offers warm treatment for relieving headache, eye stress, insomnia, dry eye, Blepharitis, Meibomian gland disorders, and sties. This eye mask is heated with a graphene carbon fiber heater, which has been scientifically proven to be more effective than conventional heat therapy because it penetrates deeper into the skin without causing injury. Insert the DC plug into the inlet on the eye mask and connect the USB plug to any power source with 5V and 1-2A rating. 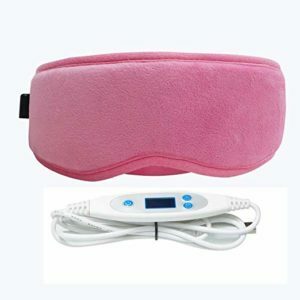 Set the eye mask to the needed temperature before applying it to your eyes. Inspired by the Japanese disposable hot steam eye mask, the Aroma Season Eye Mask can be used as a warm moisture compress and has sweet lavender scents to help relieve stress. It is designed with five heat levels and six time settings from 10 to 60 minutes. It will stop working automatically when you go into deep sleep. Insert the controller plug fully into the inlet on the eye mask, then plug the USB cable into the charger. You can set the heating temperature as desired before wearing. It usually takes around three to five minutes to heat up. Don’t fold the eye mask in half when storing; doing this may cause the carbon fiber heater to break. The eye mask comes with a special storage pouch for easy storage. 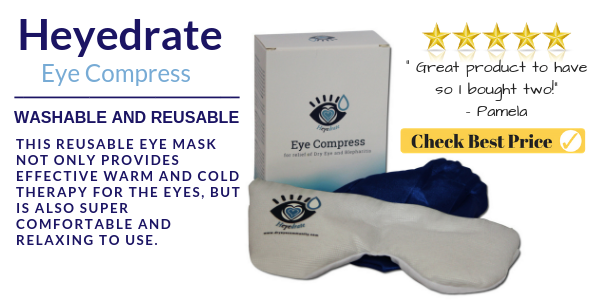 The Solana Health Rye Compress can be used for both moist heat therapy and cold therapy to treat Dry Eye Syndrome, sties, Meibomian gland dysfunction, Photophobia, Uveitis, Iritis, sinus pressure, and other eye conditions that require these forms of treatment. Microwave the eye compress for about 20-25 seconds. You can then test the mask temperature with your fingertips to ascertain whether it’s too hot or not hot enough. If it’s too hot, you can allow it to cool for two minutes before testing with fingertips again. If it’s not hot enough, microwave until desired heat is achieved, but you shouldn’t heat it for more than 30 seconds at a time. You can then apply the mask to the eyes for up to five minutes or as prescribed by your doctor.